NARS Night Series nail polishes. They finally exist. I'd been wishing they'd do polishes based on the Night series shadows so I was really excited when I saw the announcement for these. I had hoped they'd translate Night Fever shadow into a polish, alas, the four Night shades they chose were Night Breed, Night Flight, Night Porter and Night Rider. Night Porter. Night Porter is the one I was originally most interested in but I'm slightly disappointed by it. It's a dirty green with green and gold iridescent shimmer. It has a really dull look to it indoors, which is what disappoints me. Outside in full sunlight it looks amazing. All the different colors of shimmer come out and it loses most of the dullness. The formula on these was decent. Night Porter was a little too thick and gave me trouble and Night Rider was oddly fluffy feeling. Night Breed and Night Flight were perfect. I did three coats of all, only Night Rider needed a third coat. These are pretty pigment heavy and could be one-coaters if you do thick coats. I like thinner coats so I did two really thin ones when I wore them. They all dry to a very dull finish so topcoat is a must. Though, topcoat is always a must so that's sort of irrelevant, isn't it? Overall, I'm not super thrilled with them but I do like them. Night Breed is really close to Orly Goth. None of them are as sparkly or filled with pearl shimmer (I read that as 'glass fleck') as I thought they would be. They're all pretty close to their namesake shadows, so that's cool- matching shadow and nail polish. I don't think these are limited edition but I'll have to double check. The NARS website doesn't state that they are. These are limited edition (confirmed by NARS). They're $17 each, available from NARS and Nordstrom only at the moment. I got mine from Nordstrom because I hate the FedEx Smart Post shipping that NARS uses. I was also excited about Night Porter, but it's too bad to hear that it looks dull indoors. Night Breed looks great especially since Hallowe'en is coming soon (yay), but since you said it's similar to Orly Goth, I may as well just get that since it's a lot cheaper. Holy crap I want those! *sigh* Especially Night Flight. These just got delivered to my apartment today along with the rest of my Nordstrom order! Can't wait to try them, thanks for the swatches! After I saw the post announcing these polishes I jumped to buy Night Rider, but ended up ordering all 4 polishes (hey all addicts have set backs). Night Rider is still my favorite, but I was suprised to love Night Breed. As for Night Flight I was flabergasted, I thought it would just be nearly black but it's not & I love them. LOL @ all the movies/music/series they make you think of. I don't want anything 'Hasselhoff-related' on my nails, yuk, but that polish is very pretty! Wow, these are all so pretty! 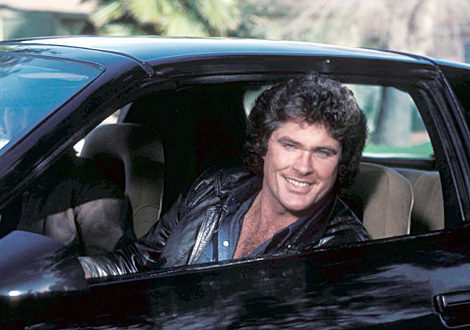 I like Night Rider best of all, though they're all nice in my opinion. Too bad Night Porter is sort of dull indoors. I would have bought that one for the name. Love that movie. 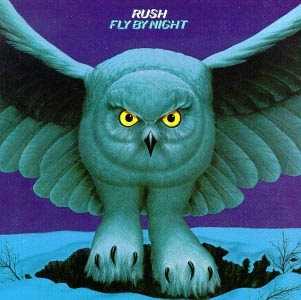 I love Rush, too! Night Porter has my interest! 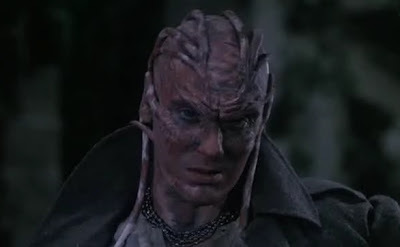 I love Night Breed!!!!! Such a great collection! I love this post, I love all of these polishes, I love you and I love your pop culture references. These polishes make me so happy! I hope I don't miss out!! The color I was the least interested in, initially was the one I liked the most -- Night Rider beautiful color & texture! Like you, I was most interested in Night Porter & was disappointed w/the way it really looked on nails. I was thinking it was going to be more along the lines of Butter London's Wallis except a litte darker. Thank U for swatching! Night Rider and Night Flight are delicious! I want these. I really like Night Breed and Night Flight (Rush reference not withstanding), but in this price range, I'm not likely to pick up anything that's not an absolute show stopper. Most of those are dupeable. Kit! Its been so long... I like Night Flight alot. I actually like Night Porter, but I am indoors alot so...very very pretty swatches! I think black sparkle seems to be trending alot with polishes (thinking the new Black Deborah Lippman party polish). OMG Thank You! 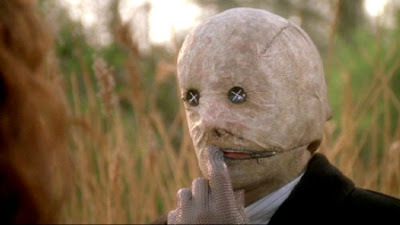 I knew if anyone else would think of that movie when they saw Night Breed it would be you. I actually love it :P (I'm a massive Clive Barker fan though I loved it before I even knew he wrote it) And yes I kind of want to buy the polish just for that. Otherwise I kind of like Night Flight but I'll have to see it in person. Night Rider too. I'm undecided how I feel about it. I tried Night Rider several days ago and I like it very much. I thought that OPI's Star Ferry would be close to it, but after trying it too I think that I prefer by far Night Rider. Could you recommend me a nail polish that is really close to NR? A mauvy-shimmery color in the same style?